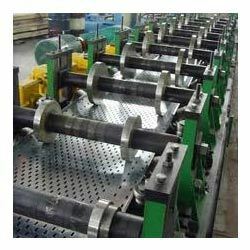 Leading Exporter of cable tray roll forming machines from Mumbai. In order to provide utmost satisfaction to our clients, we engage in using the finest raw materials and modern machines for manufacturing these Cable Tray Forming Machines. For reasons of quality, manufacturing is done as per the industry set norms & guidelines and its quality is highly standardized. The offered product is widely used for the purpose of making conveying machines. Looking for “Cable Tray Roll Forming Machines”?